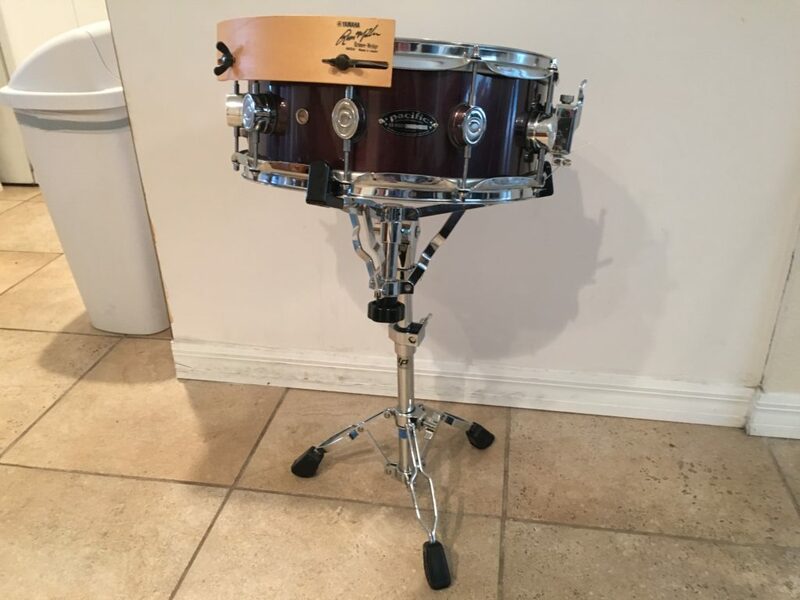 I stumbled upon this prototype from Infiniti Drum Works at the 2016 Chicago Drum Show. 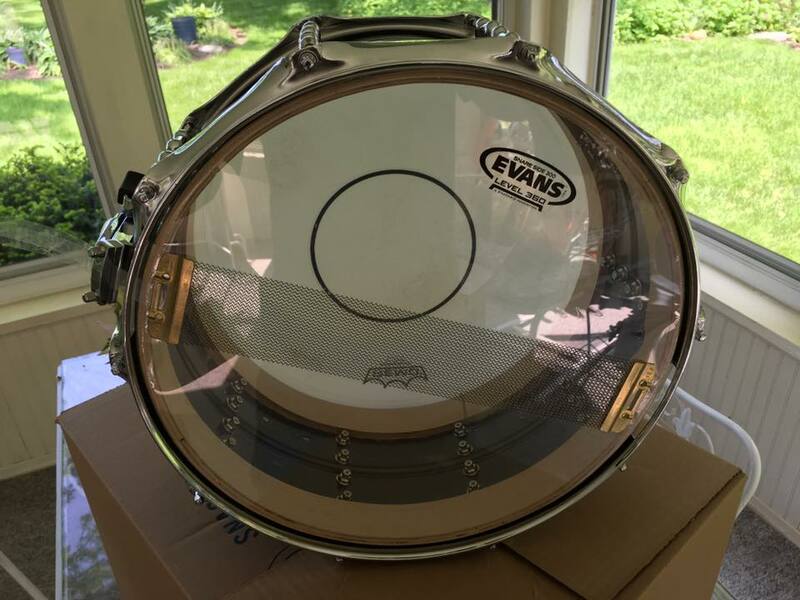 It is a one-of-a-kind. 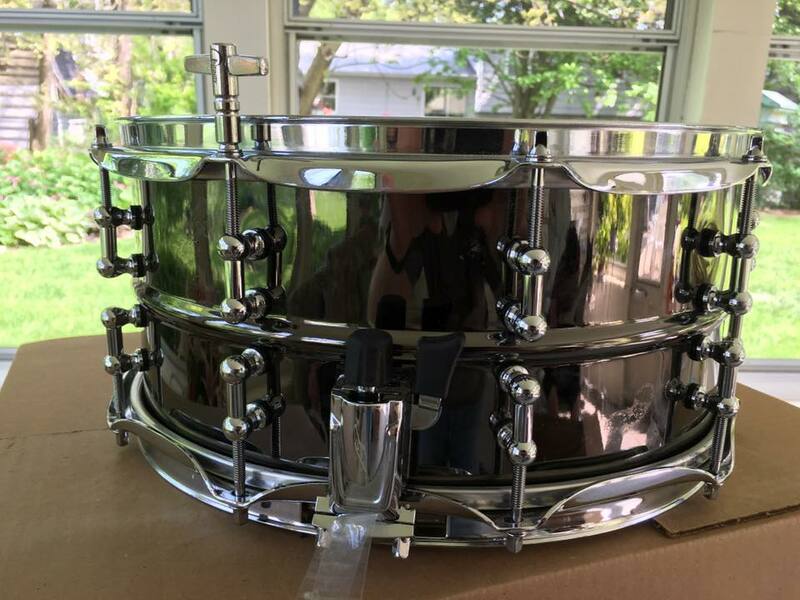 I wanted something similar to my Ludwig Black Beauty, but deeper sounding (and less expensive). 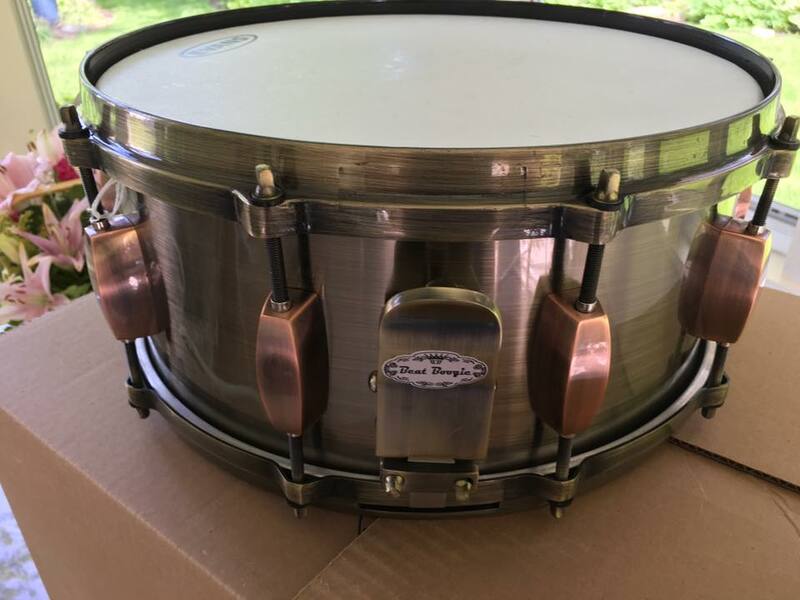 It has a beaded 6.5″ x 14″ brass shell, with black nickle coating and 10 tube lugs. 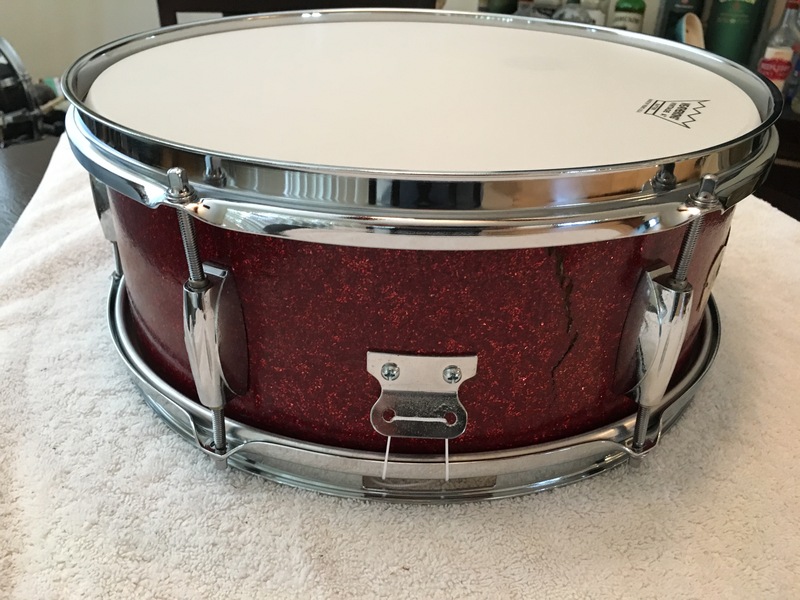 It is unique in that it also has maple reinforcement rings top and bottom. 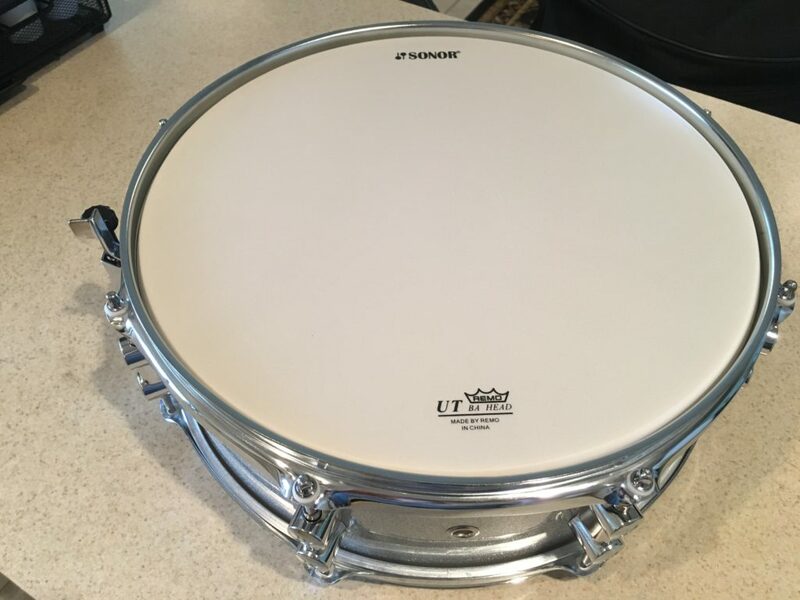 It can usually be found on my studio kit, tuned high and tight. 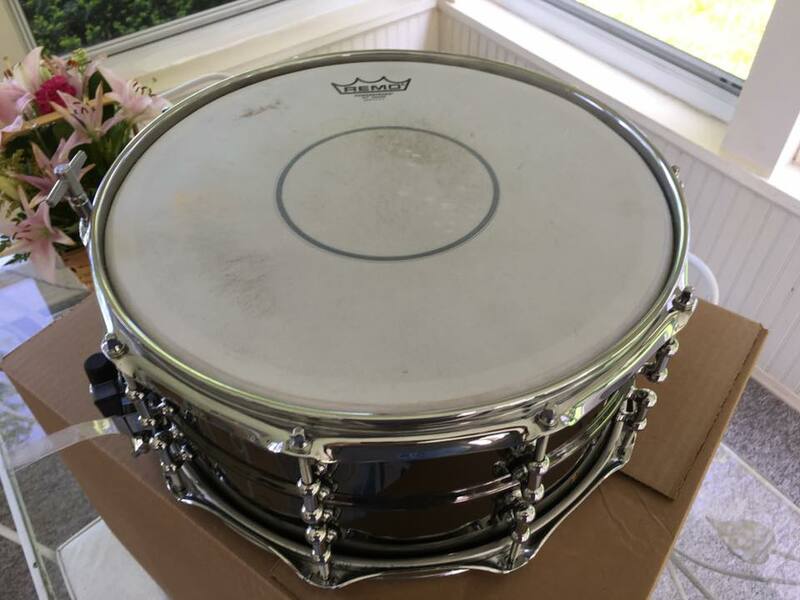 It is my favorite drum on which to play snare rudiment exercises. 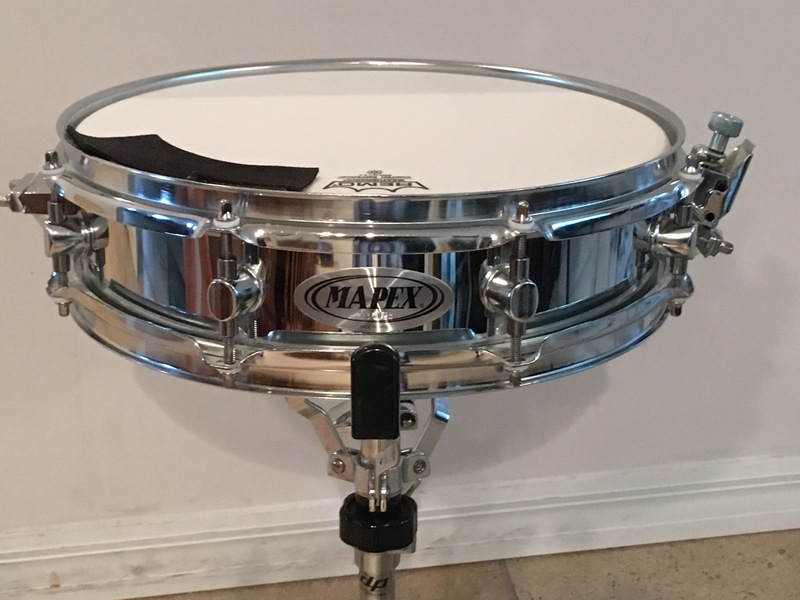 Great Drum! 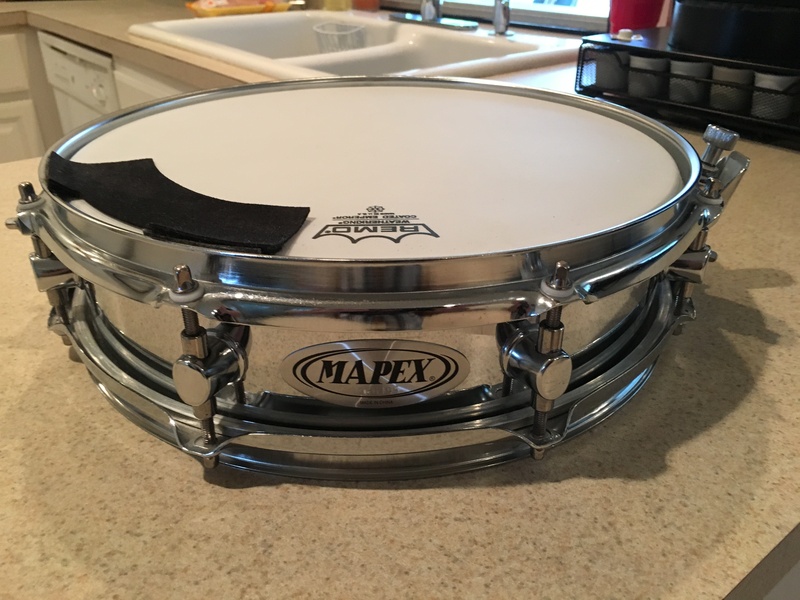 This is also a drum I picked up at the 2016 Chicago Drum Show. 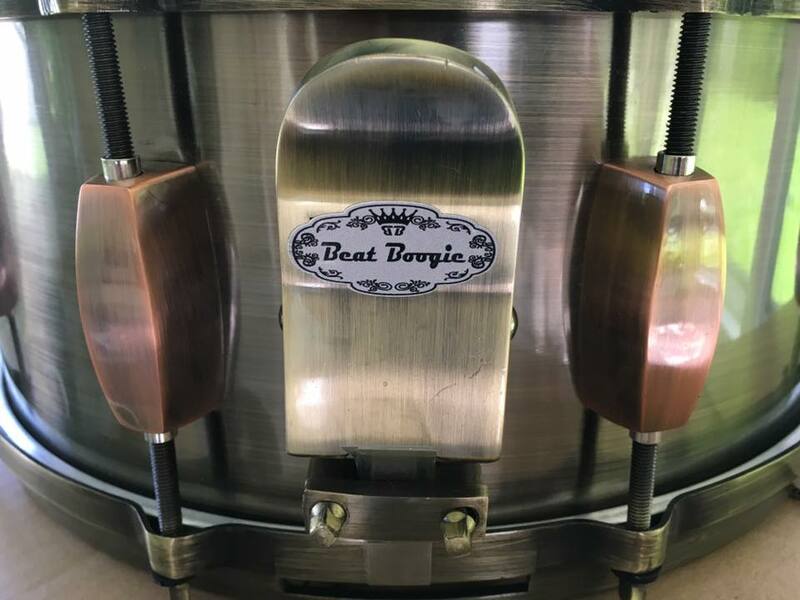 I was not familiar with the Beat Boogie brand at all when I visited their booth, but I loved this drum when I played it. 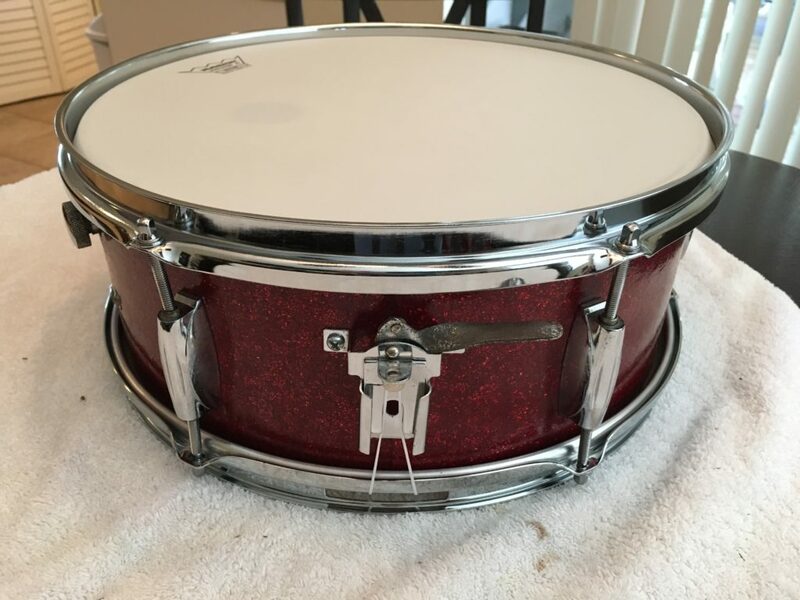 It has very distinctive looks and tone, just a great pop to it. 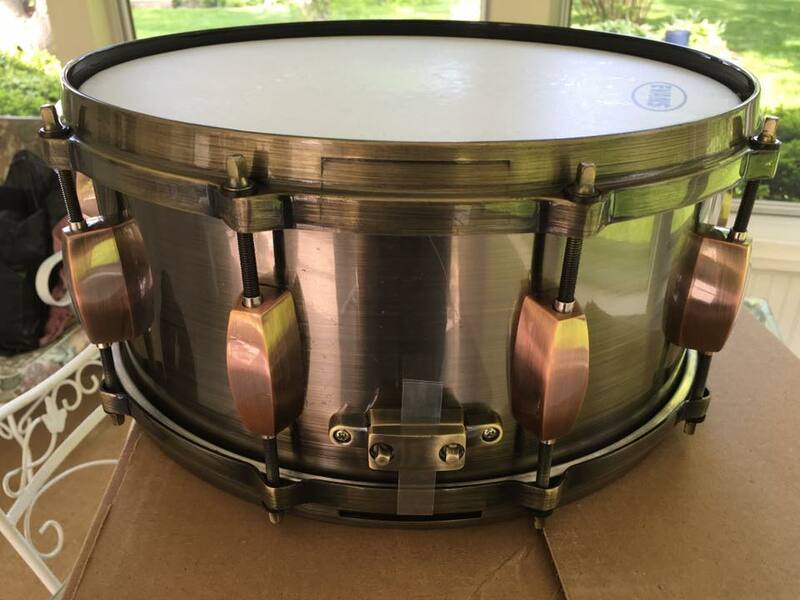 It is 6.5″ x 14″ and is made of brass with 10 lugs and die-cast hoops. 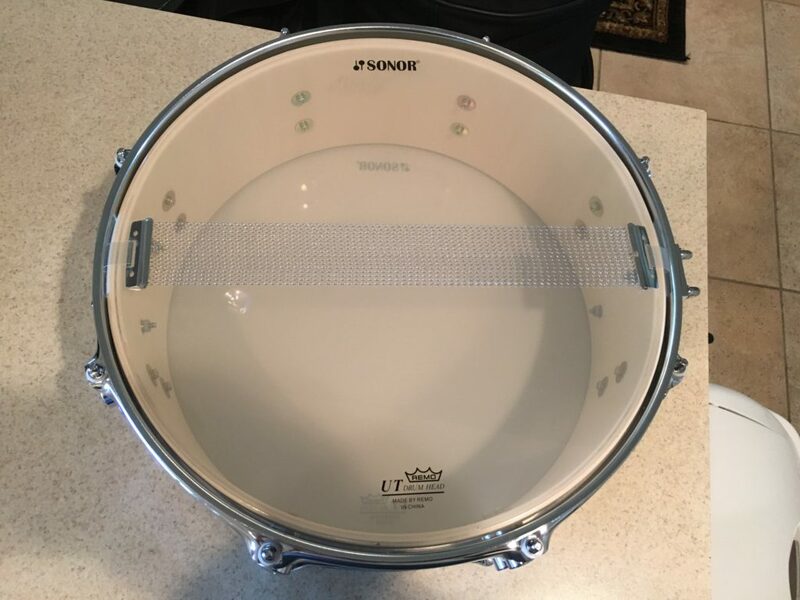 I have it tuned pretty high for a great crack. 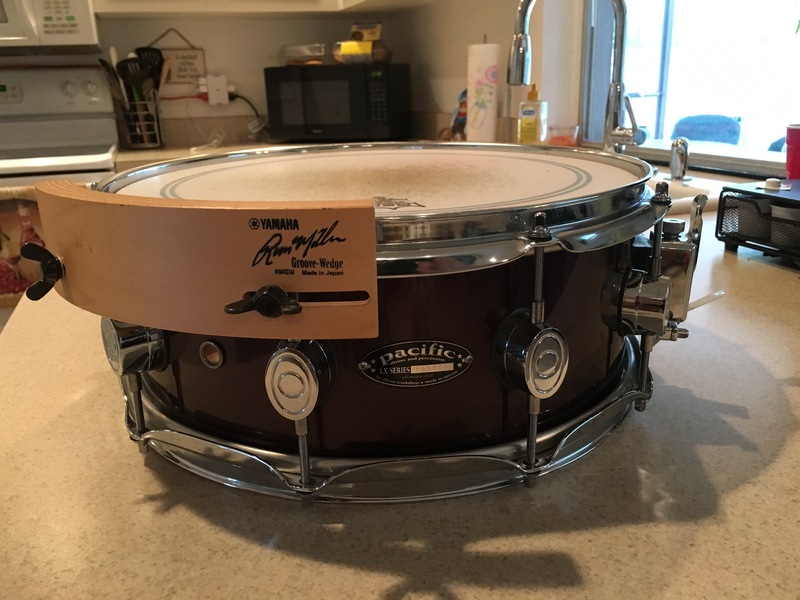 A nice little affordable piccolo snare drum. 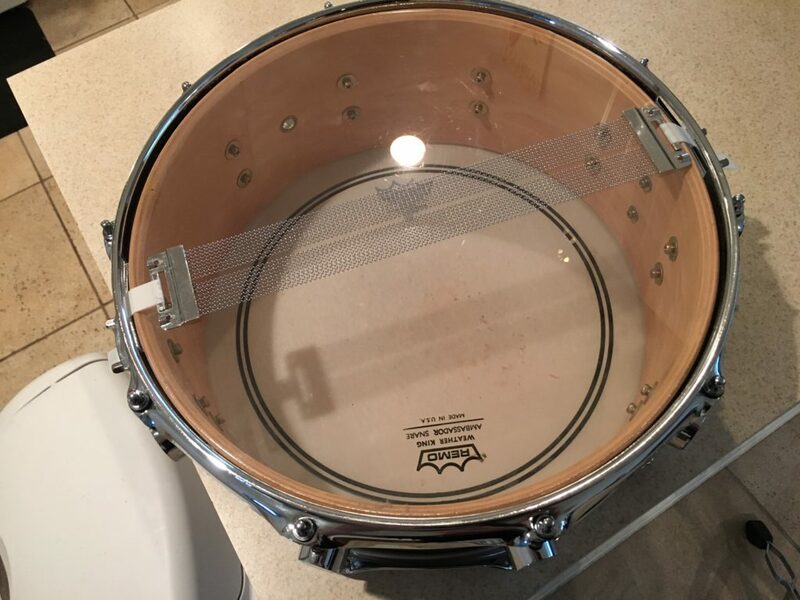 Surprisingly well-made for the price. 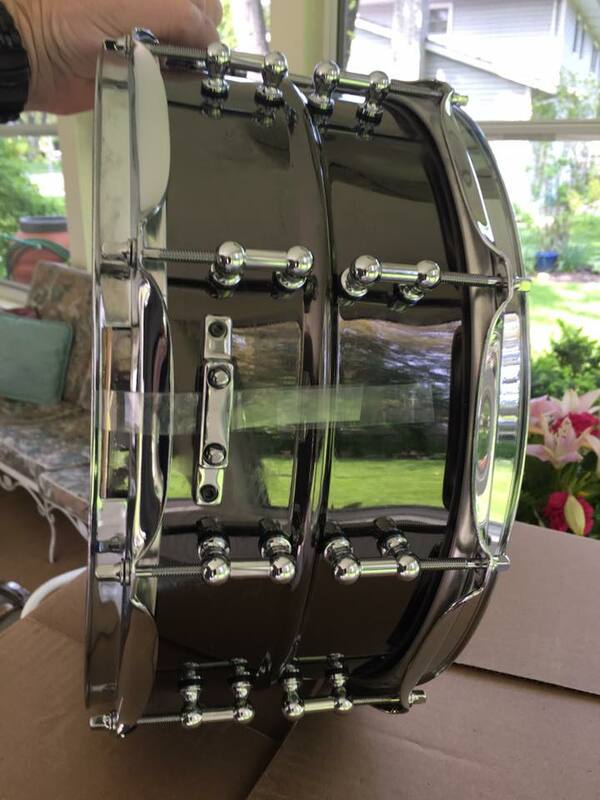 It has a very metallic crack to it. 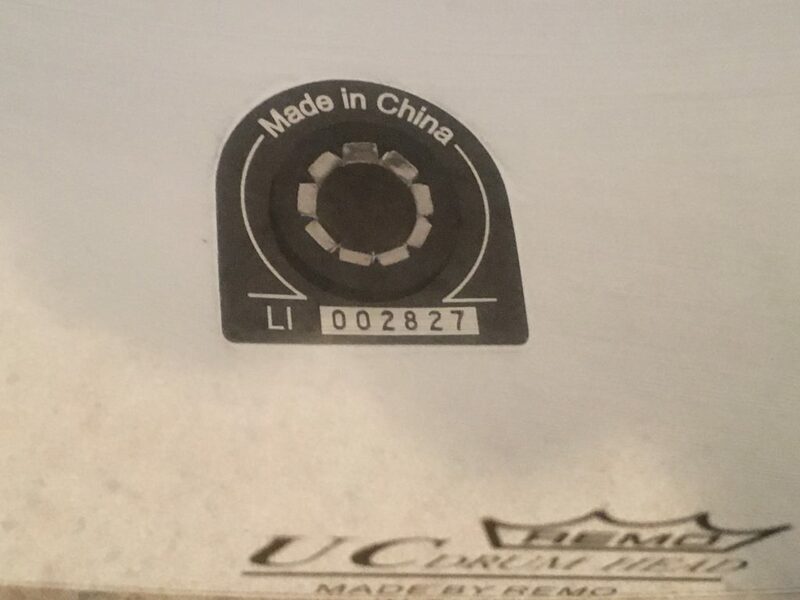 Again, probably single purpose, but when you need this specific tone, it delivers and for well under $100. 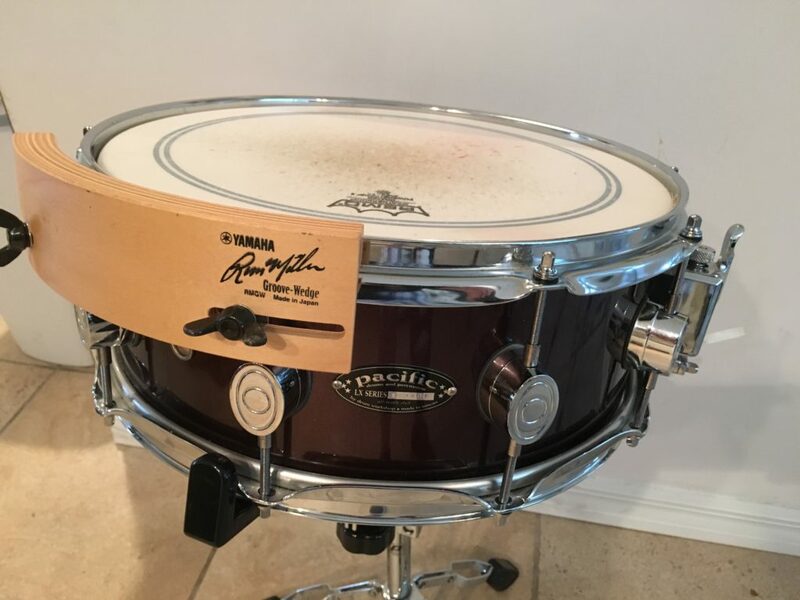 This is a great sounding maple shelled drum. 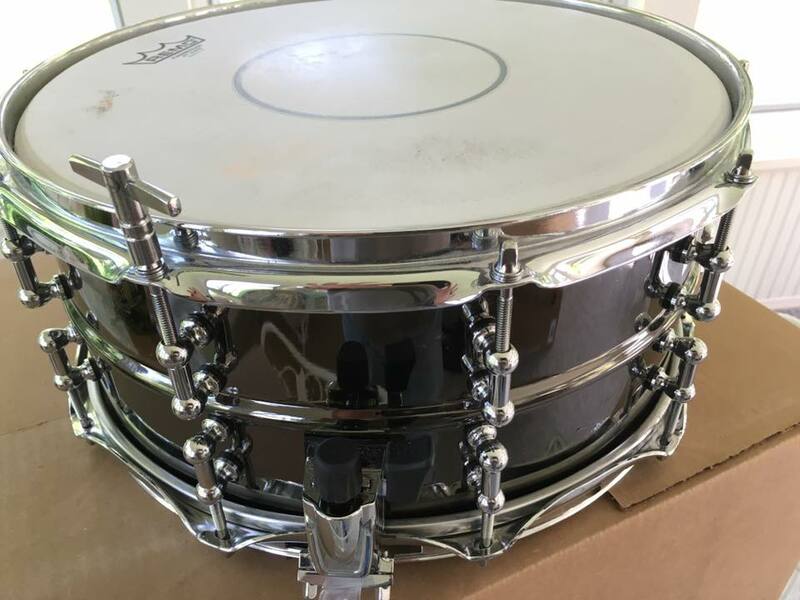 10 lugs, thick plies. 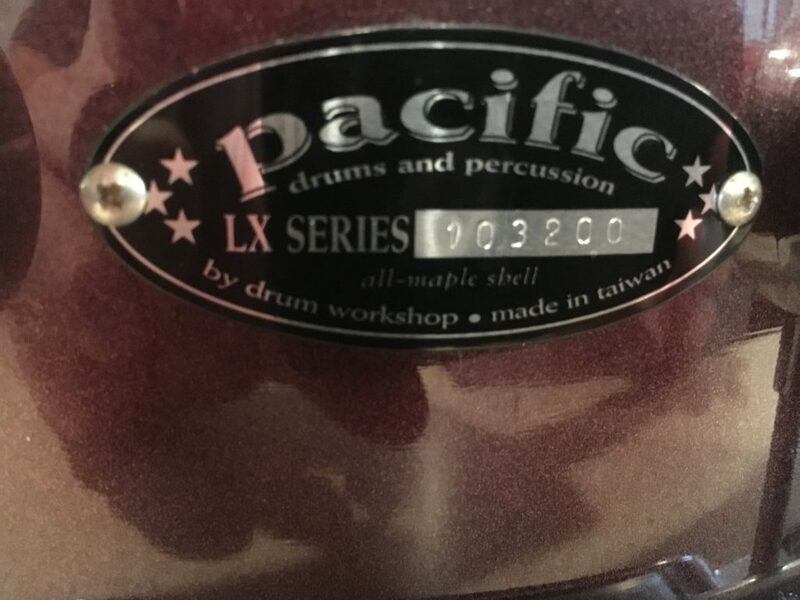 This is an early Pacific model, when DW just starting making drums overseas. 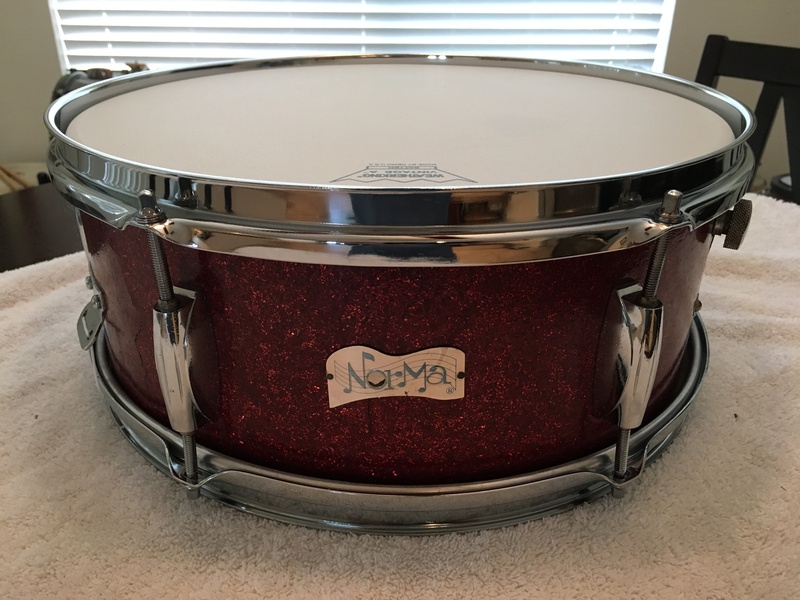 The quality is still high, the design is beautiful and the color is fairly unique. 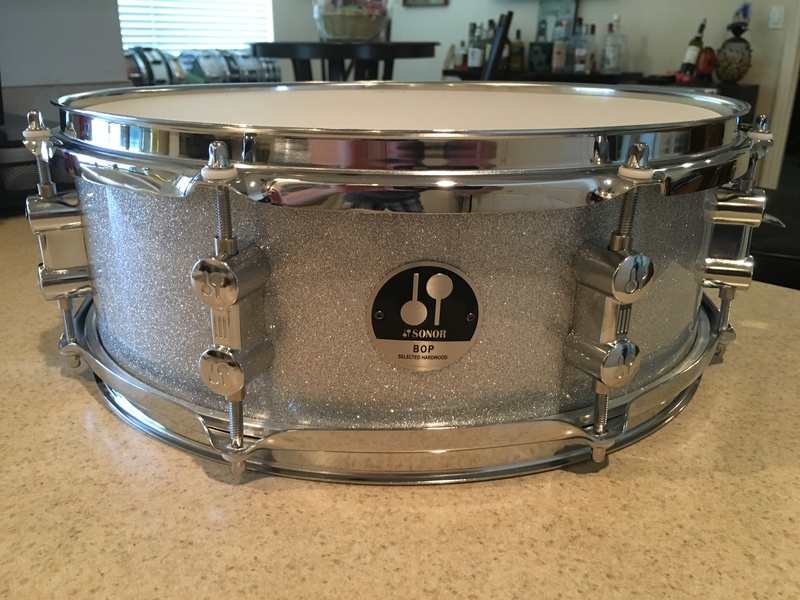 This 14″ x 5″ poplar snare drum came with my Galaxy Silver Sparkle Bop kit that I purchased recently. 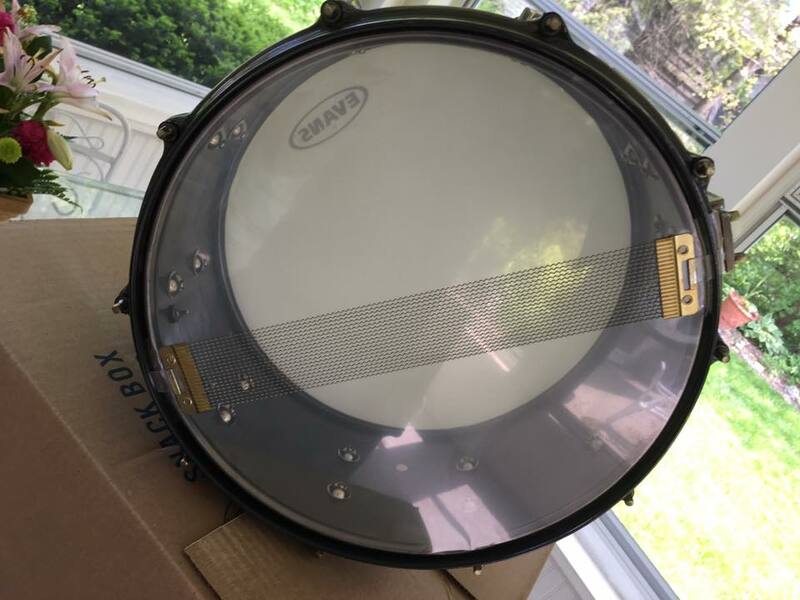 Surprisingly good, solid tone for what is essentially a throw-in drum that comes with a shell pack. I was especially pleased to see the detail of the lug castings and the inclusion of nylon lug washers. 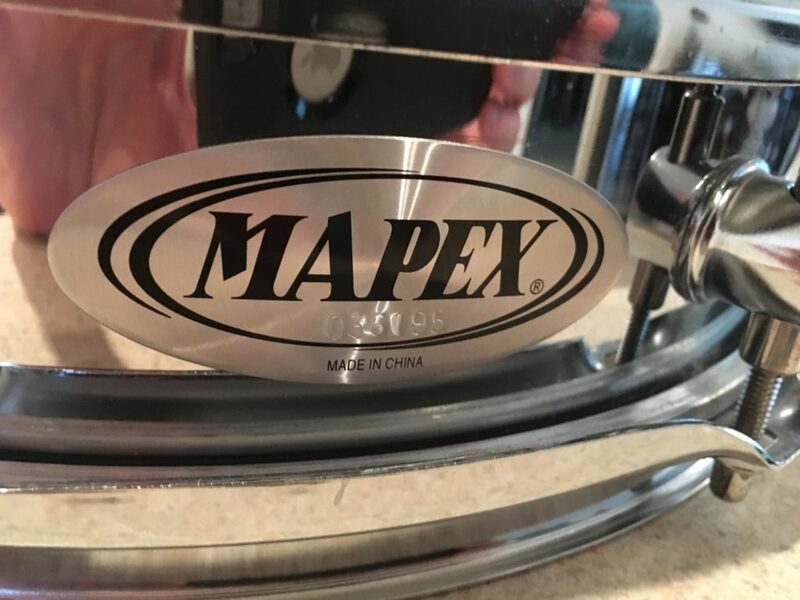 This drum was given to me by my friend and band mate, Jeff Rosebush. It required a complete restoration, which I have documented here.